With our Residential Training programmes your dog will come to stay with us (including overnights) to allow me to do focused work on a certain behaviour (for example teaching the dog to walk nicely on the lead or recall work). The dog lives in my home as a member of the family for anywhere between 7 and 14 days and having the dog with me allows me to do frequent and regular training with the dog. I will visit prior to the dog staying to allow me to assess the behaviour and the will give you a quote which includes a training session when I return the dog to transfer skills to the owner as well as a follow up session around two weeks later to follow up further with the training. Residential Training is normally anywhere between 7 and 14 days but can be longer or shorter depending on your specific requirements. Once we have established a time-frame and a specific programme for your dog I will provide you with a firm quote tailored specifically to your dog's needs. As with all of my other training courses, the Residential Training programmes come complete with individual training notes; allowing you to work with your dog between training. Additional support is always available by phone or e-mail meaning you are never at a loss when things don't go as expected. Where do you offer the courses? Residential Training will always take place in my home in Warfield. No restrictions. All dogs are welcome! For more information, or to book a place on any of these courses, use the Contact Us page or send us a quick message using the form below. All of our Active Paws' courses fill up quickly, so to ensure you get a place on the course you want - book now. 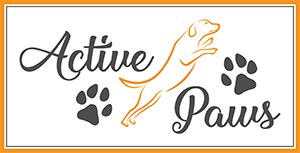 Active Paws is a dog training, boarding and day care service offering a friendly and professional service tailored to suit individual needs. Based in Martins Heron (near Bracknell) and servicing all local areas including Bracknell, Warfield, Binfield, Winkfield Row, Chavey Down, Cranbourne, Ascot, Windsor, Virginia Water, Sunninghill, Sunningdale, Crowthorne and Wokingham.